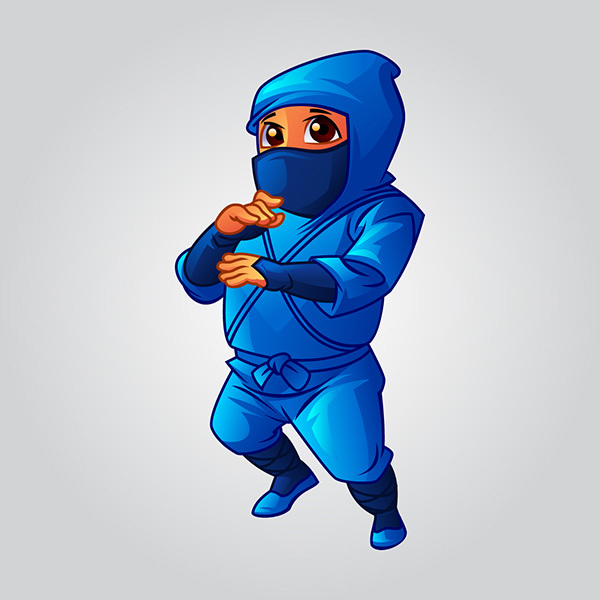 Cartoon cute mascot vector illustration for Baby Name Ninja. 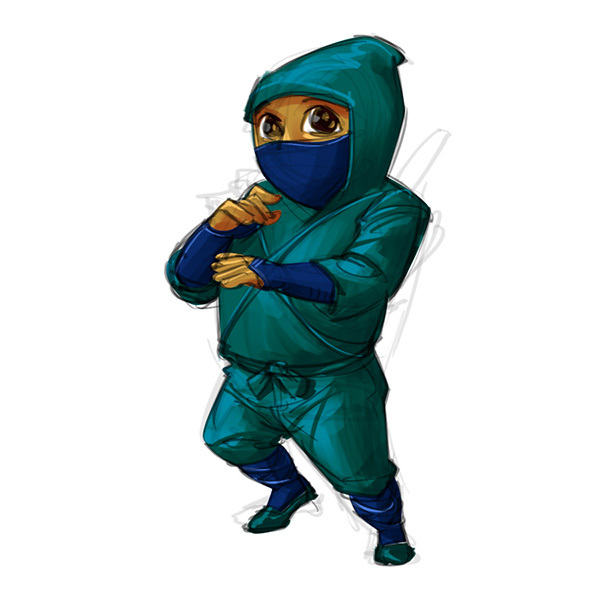 Vector illustration of cute ninja baby boy. These illustrations are for a website application that serves as a baby name recommender system and they were in need of some design work for it. The site is going to be titled "The Baby Name Ninja". What they need for a logo is cute baby ninjas. Sketch for cute ninja baby boy. 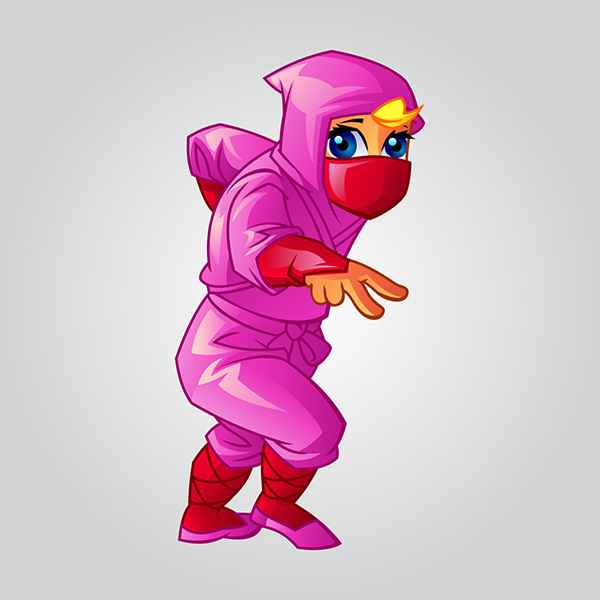 Vector illustration of cute ninja baby girl. Style-wise, they were looking for something cartoony with sort of a pop Japanese look to it. They want nauseatingly cute! Mind-blowingly adorable. 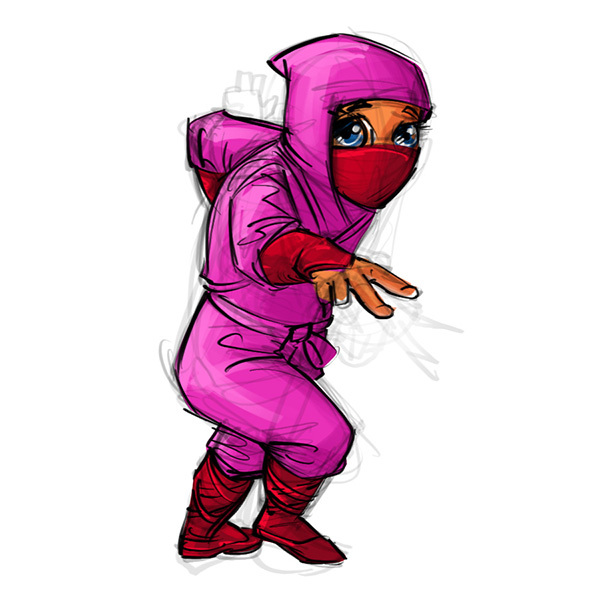 Sketch of cute ninja baby girl. Here are 2 versions of the Ninja character drawn to look best around 200x400px, They needed in in a scalable vector format should that dimension need to change. Male and female interpretation of the same character.